Hi Pals! 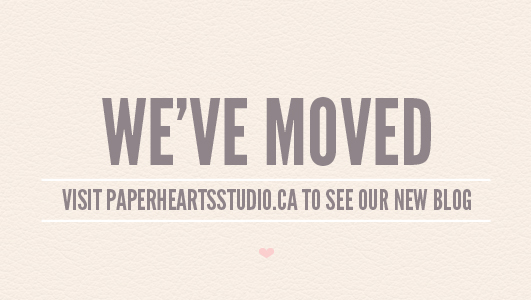 Just dropping a note to say that we’ve moved our blog! Still interested in seeing our love notes? Pop by here and stay connected with us via twitter, facebook and instagram. My hand at illustration was challenged earlier this summer when a pal asked me for a watercolour illustration of her and her future husband for their wedding invites. With the habit of never saying no, I happily agreed with fully knowing that I was never good at watercolour and have never called myself an illustrator. The couple was very pleased with the final results, phew, and so was I! 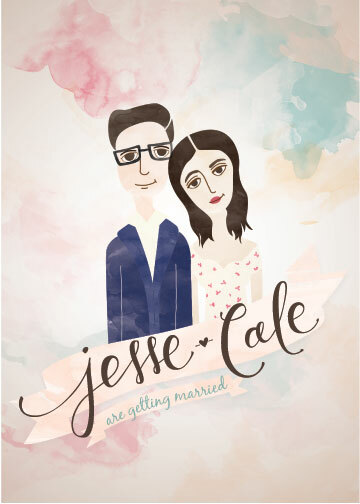 Congrats Jesse and Cale! Wishing you a lifetime and more of happiness and love. Photos coming soon… I’ve been quite tardy on shooting my work! 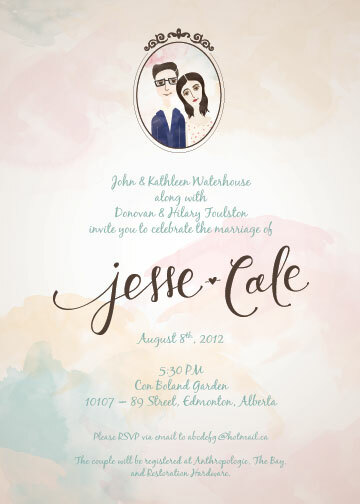 But we printed this invitation on a beautiful natural felt paper to get the watercolour paper effect. Beauty. Well this is exciting! 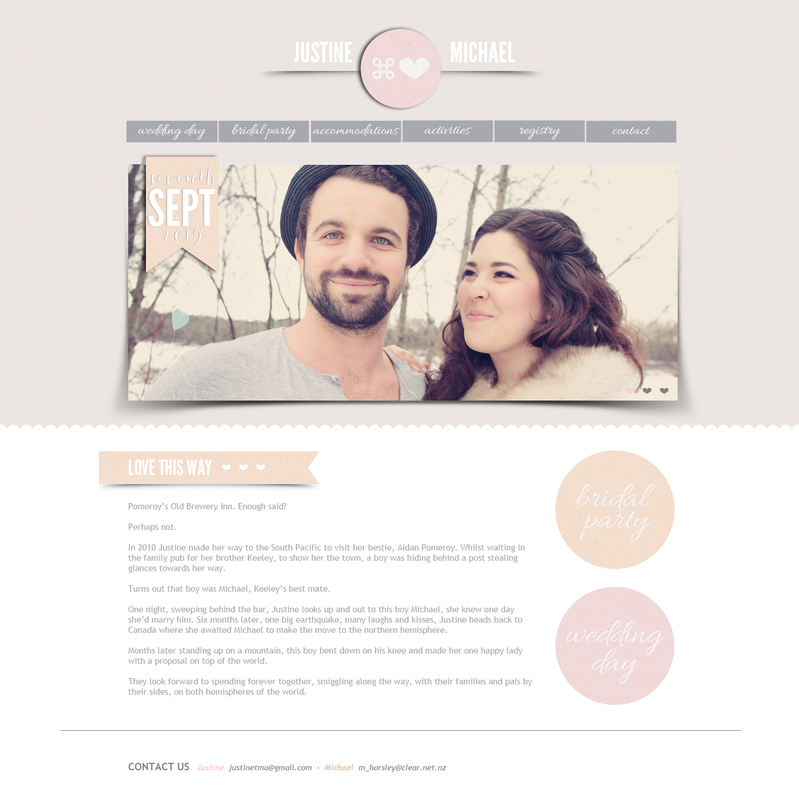 I love wedding websites, but (as a designer) I hate the templated ones. With the help of my good pal Karl from Hexapixel Media and my super quick design (right Karlos? ), we’ll be launching this baby within the next couple of weeks! It’s super simple and to the point. We have quite a few family members and great friends from the South Pacific that will be joining us in Canada for our wee wedding. We want to show them that Edmonton has a lot of great shops and eats, not to mention it’s very pretty! It’s no New Zealand, but it should do. Hee Haw Collective was at it again! This years theme, MEAT! YUM! I couldn’t be a vegetarian if I tried. 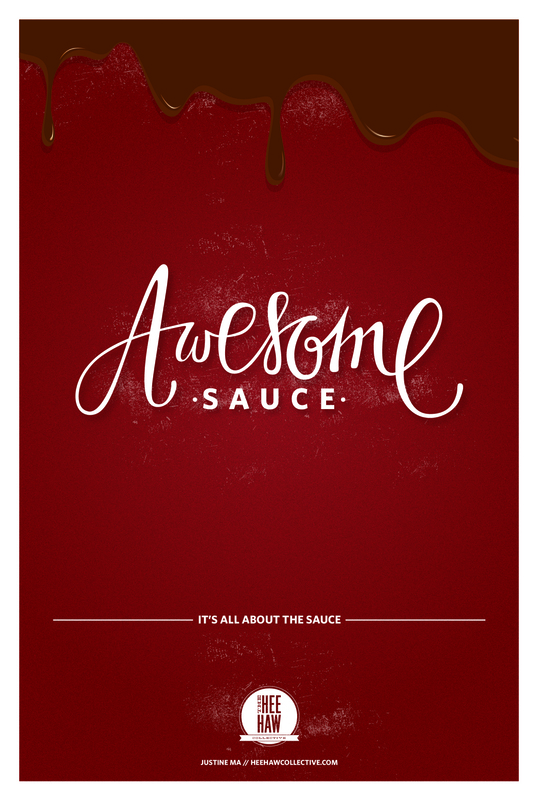 Although… for me, it’s really all about the sauce… I could just eat sauce, but that’s just weird. Be sure to keep your eyes peeled within the next couple of weeks, we’re going to be hanging these posters on the 6th! If you don’t already know this, I do have a full time job at a wee design studio/agency called The Met Agency. Every few weeks each of us does a blog post. 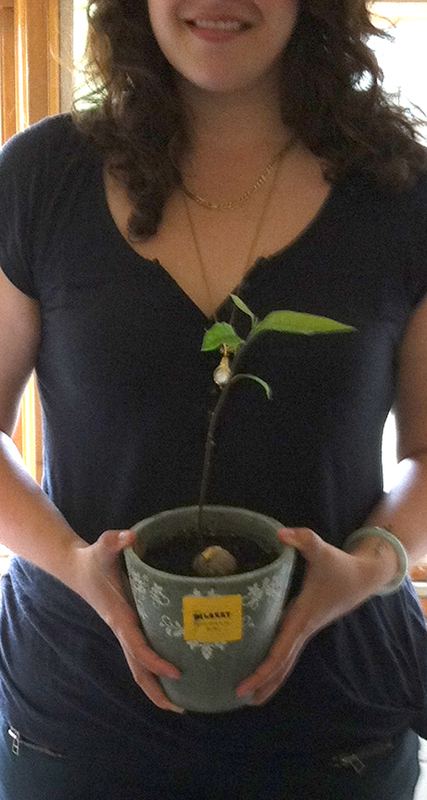 This week I decided to do a “how to,” and in this case, a how to grow an avocado! Janet and I have been busy nurturing our little forest of avocados, we have 5, each of them with a unique name and some of them with extra love notes for growth encouragement. I encourage you to try this “how to,” it’s so fun watching these little guys grow! I’m so in love with all of them! Meet Dilbert, one of our fastest growing! If you follow me on instagram, you’ll likely know that I post pics of tonnes of my doodles. It’s my favourite thing to do. 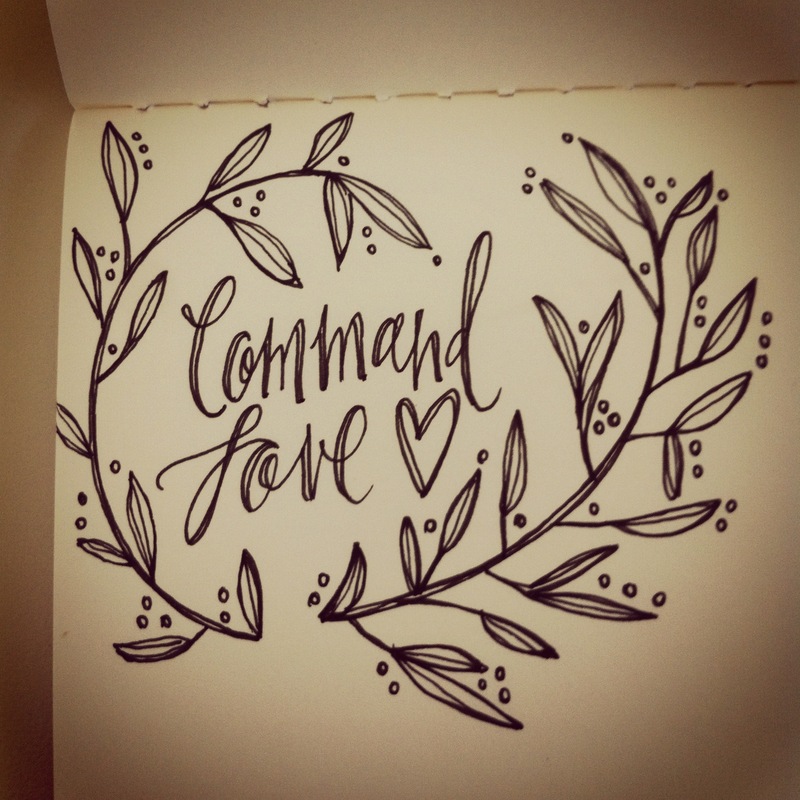 I love illustrating type! 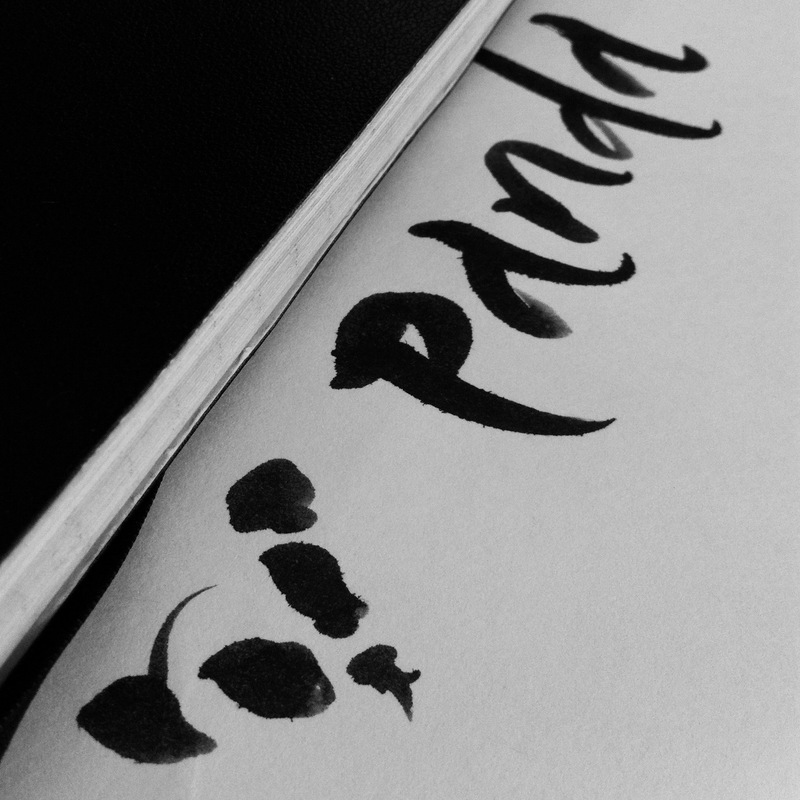 This little angry panda was done with a dark grey brush pen. I’ve just gotten into brush pens. And man, they are hard to use. It’s a struggle, but practice makes perfect right? Mike and I have a wedding venue! 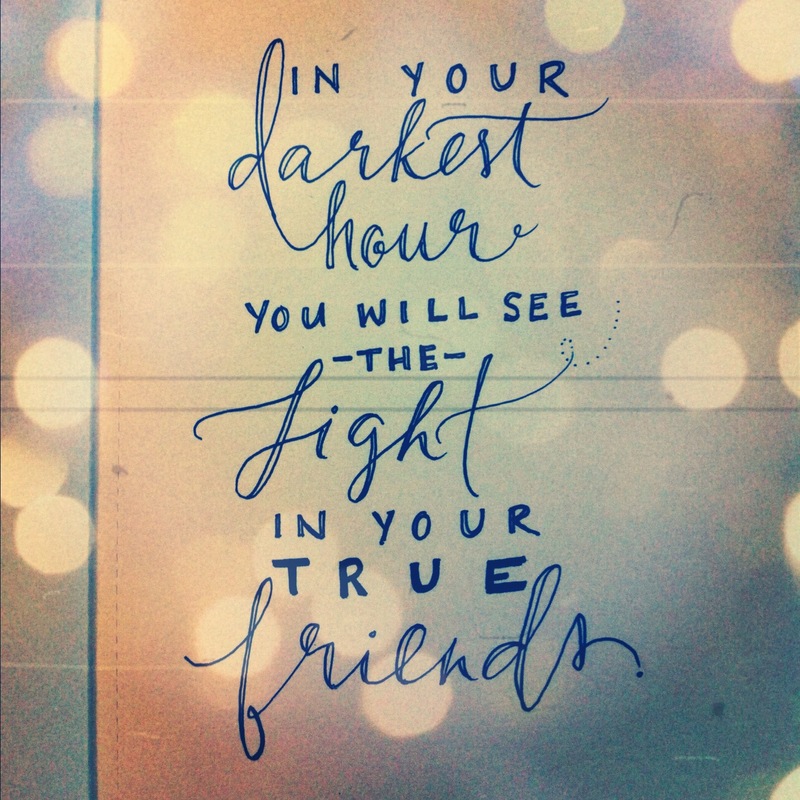 There is light! With our wedding now slightly over a year away, we’re slowly getting our stuff together. I’m of the mind set that if we do little things each week, each month, we won’t get this giant bill next September. Am I right? 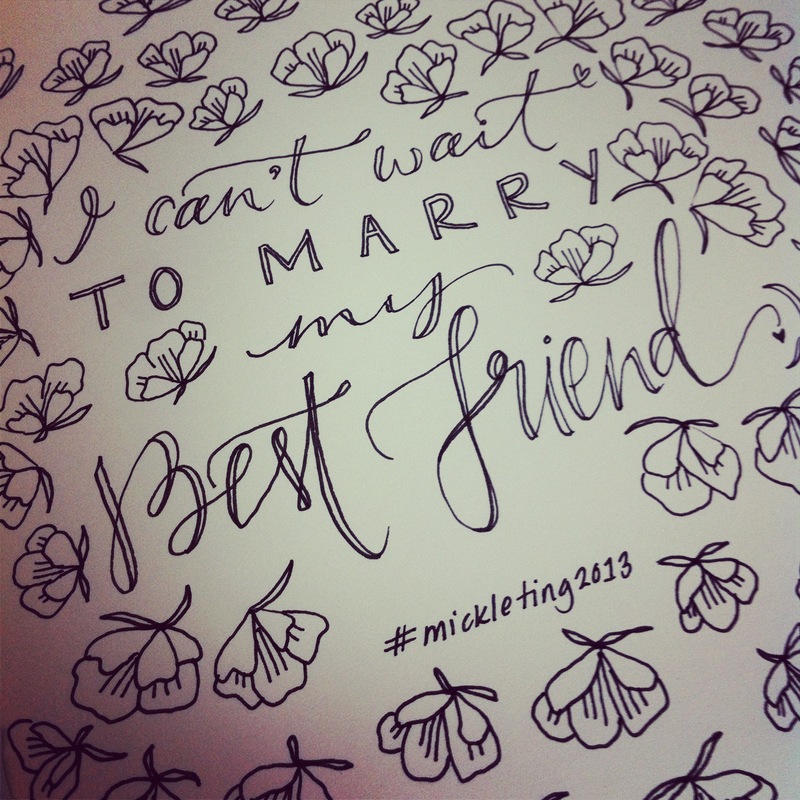 Or am I just getting too excited to start my wedding tidbits?! Too late! 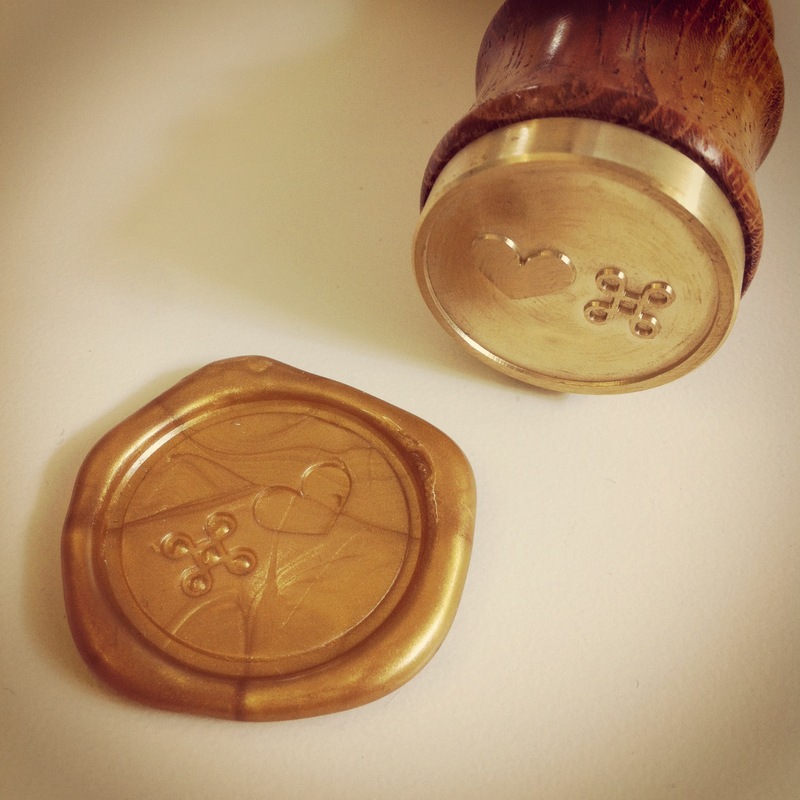 Below are our beautiful gold seals for our envelopes which I don’t know the colour of, and for the invites that are yet to be designed. But this little detail just melts my heart.